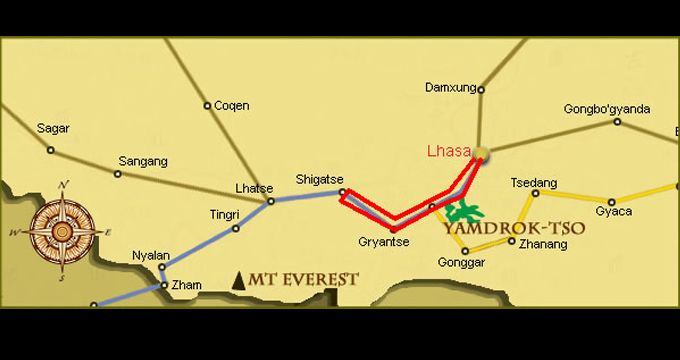 The flight / train arrives at Lhasa Gonggar airport / railway station in the afternoon / evening. You will be greeted by our guide then get transferred to the hotel. Check in hotel and acclimatize. 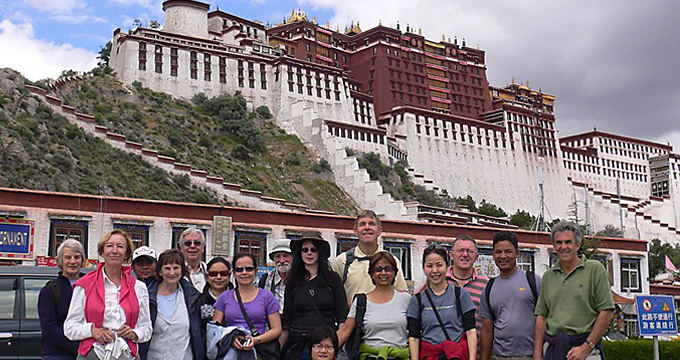 In the morning, visit Potala Palace. 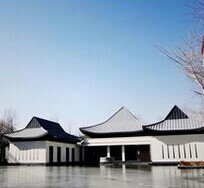 This architectural wonder is Lhasa' cardinal landmark. It consists of the White and Red Palaces with more than 1000 rooms. The White Place was for secular use. It contained living quarters, offices, the seminary and the printing house. The Red Palace's function was religious. 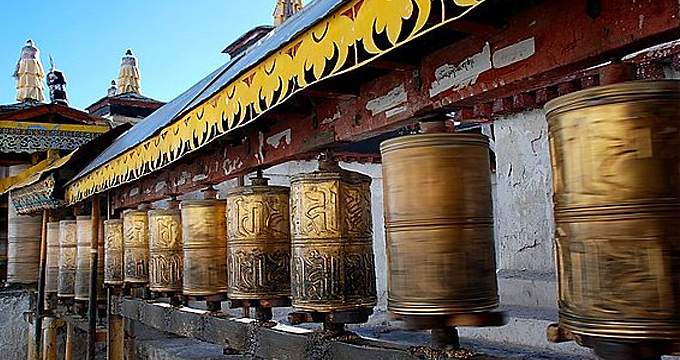 It contained gold stupas, which were the tombs of eight Dalai Lamas, the monks' assembly hall, numerous chapels and shrines, and libraries for Buddhism Scriptures. 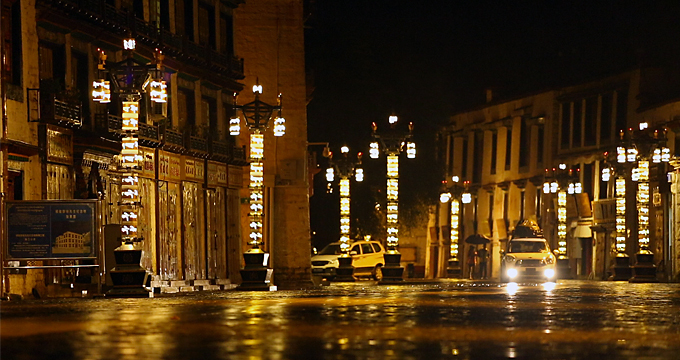 In the afternoon, visit Jokhang Temple and Barkhore Street. Jokhang is the spiritual center of Tibet, The outer courtyard and porch of the temple are usually filled with pilgrims making full-length prostration towards the holy sanctum. Its innermost shrine contains the oldest, most precious object in Tibet - the original gold stature of Sakyamuni - the historical Buddha, which Princess Wen Cheng brought from Chang'an 1,300 years ago. Barkhor refers to Lhasa's pilgrimage circuit, a quadrangle of streets that surrounds the Jokhang and some of the old buildings adjoining it. It is an area unrivalled in Tibet for its fascinating combination of deep religiosity and push-and-shove market economics. 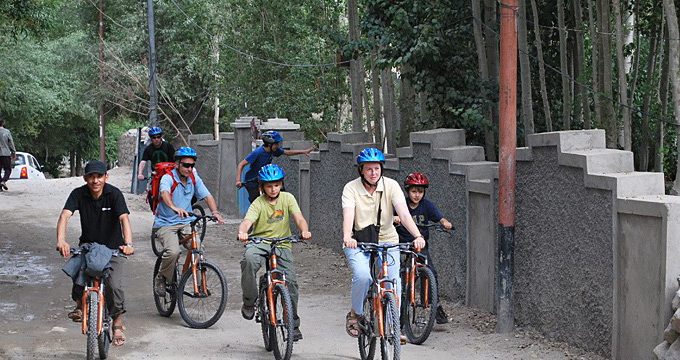 Then have a rickshaw ride or bike tour in the old town of Lhasa for about 30 minutes. 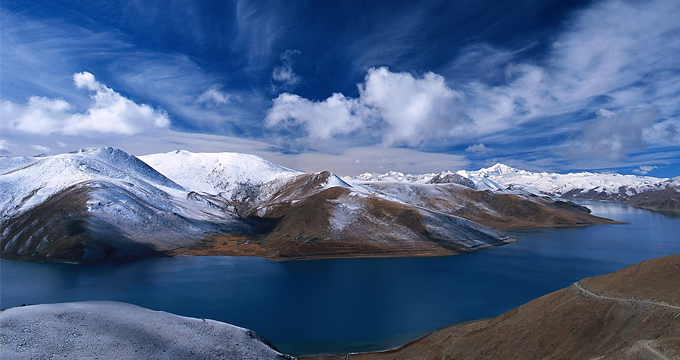 Depart from Lhasa In the morning, drive up the mountain road to visit the holy lake Yamdroktso. It is a coiling, many-armed body of water shaped like a scorpion, in clear weather is a fabulous shade of deep turquoise. Lunch picnic by the lake. 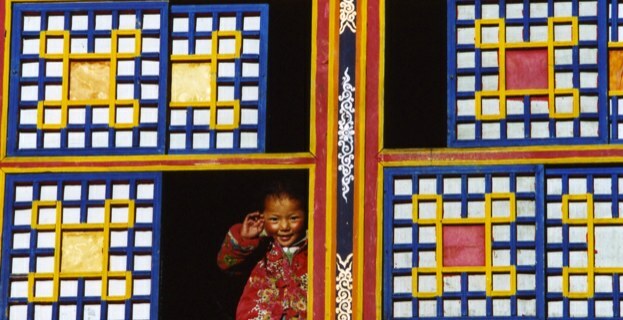 In the afternoon, go to the small Tibetan town Gyantse and visit the famous Kumbum there. Kumbum was a spectacular stupa temple, whose name means "Place of 100 Thousand Images", is the most stunning architectural wonder in Tibet. 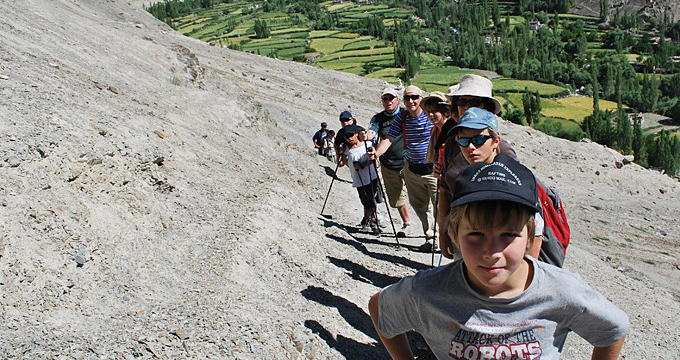 Then proceed to Shigatse. 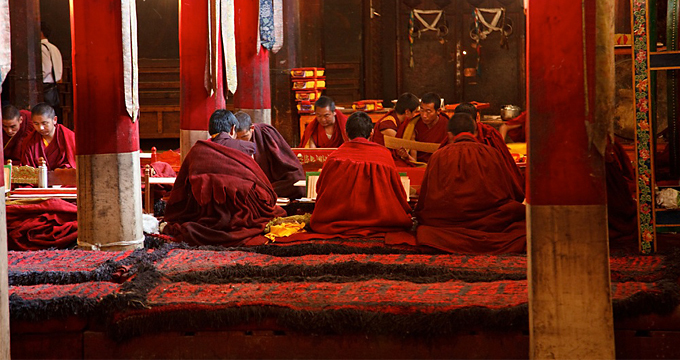 In the morning, visit Shigatse's foremost attractionTashilunpo Monastery which holds the tombs of the past Panchen Lamas. 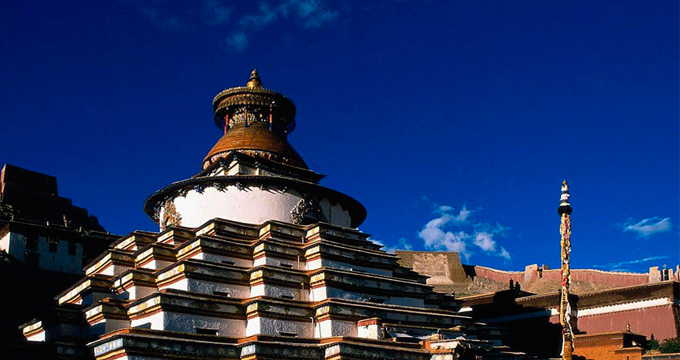 The most impressive Tashilhunpo's sight is the Chapel of Jampa. An entire building houses the world's largest gilded statue - a 26m image of Jampa (Maitreya), the Future Buddha. In the afternoon, drive back to Lhasa. En route, visit a Tibetan’s home. Aftern coming back to Lhasa, go to a Tangka workshop. In the morning, have sweat tea in local tea house. In the afternoon, get transferred to the airport and fly out. End of your tour. all the activities as indicated. This is a group of 2 adults minimum. It can be customized to meet your specific dates, group size and other requirements.